Jordan has been testing the waters with new utility silhouettes and there looks to be a new lavish colorway on the horizon. 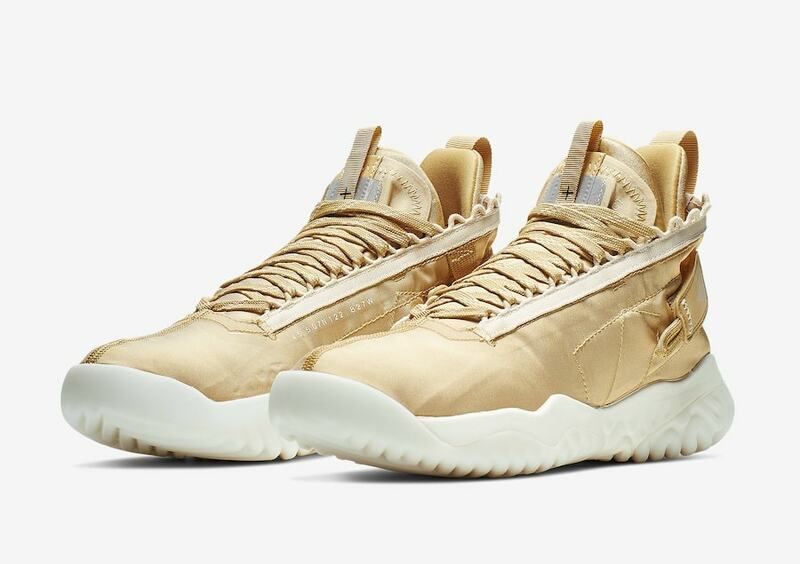 The Jordon Proto React is set to be dressed in a luxurious metallic gold, rumored to be releasing soon. 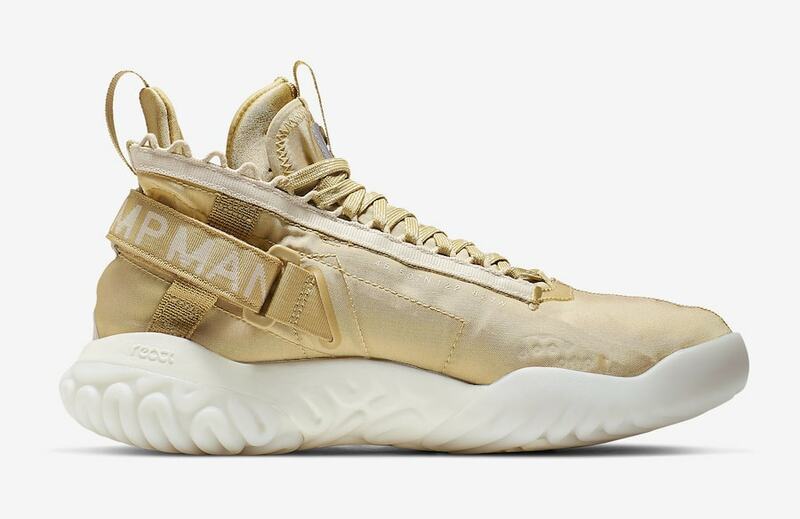 The utility trend looks to be updated in a new flashy colorway for spring 2019. Jordan brand has released many new silhouettes that are tied with an athletic feel but a utility look. 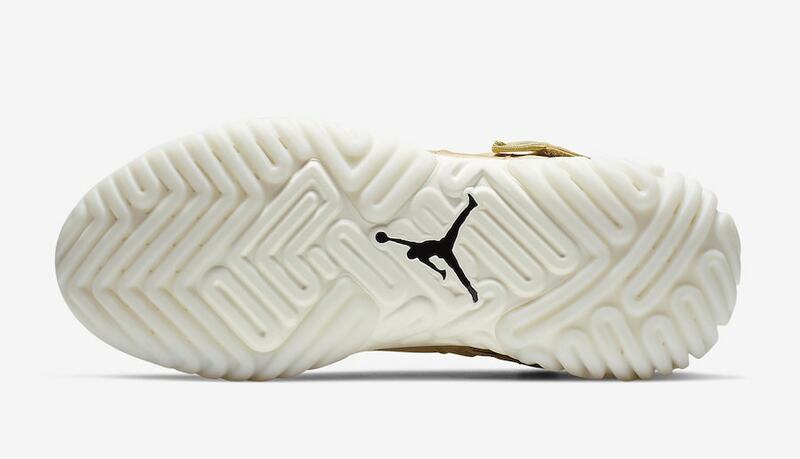 The Jordan Proto, a well known utility looking shoe, defies standards with a flashy gold colorway. The new silhouette is accompanied with comfort as well, as it contains Nike React technology. 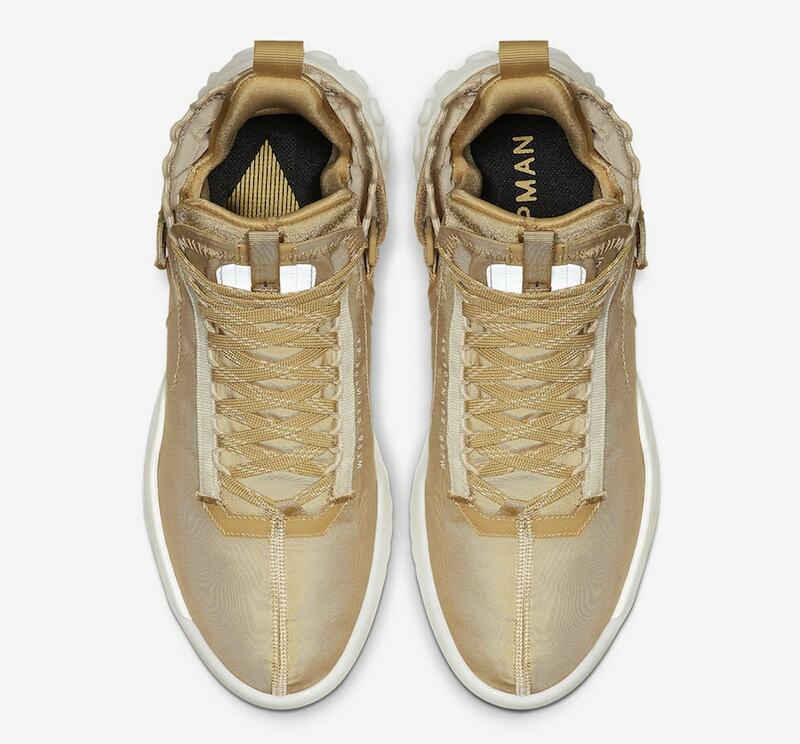 Covered in metallic gold, this particular colorway is also complemented with a creamy white outsole that pairs extremely well with each other. Jordan branding can be found on the adjustable heel straps in which solidifies the utility aesthetic. Furthermore, the shoe is topped off with a reflective Flight Utility graphic that can be seen on the upper portion of the tongue. 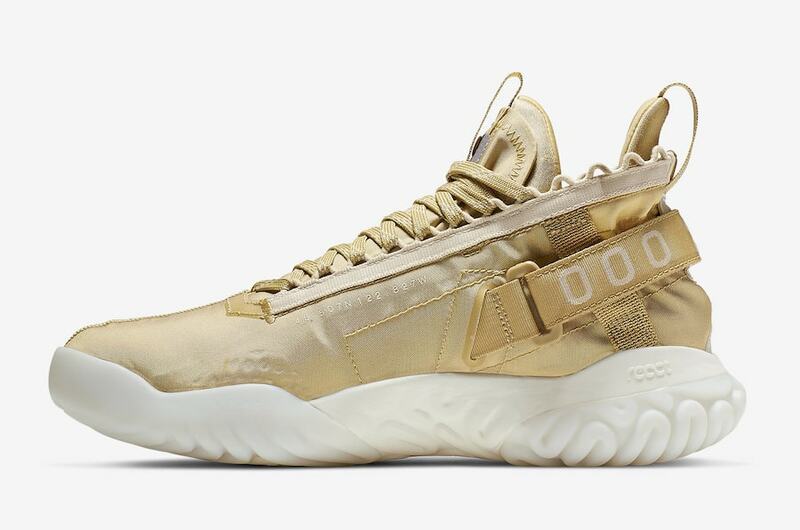 Although there is no exact release date as of now, the Gold Jordan Proto React is expected to make a landing soon at select Jordan brand retailers and online. The shoe looks to retail at $150, a price cut from even the Nike React 87. 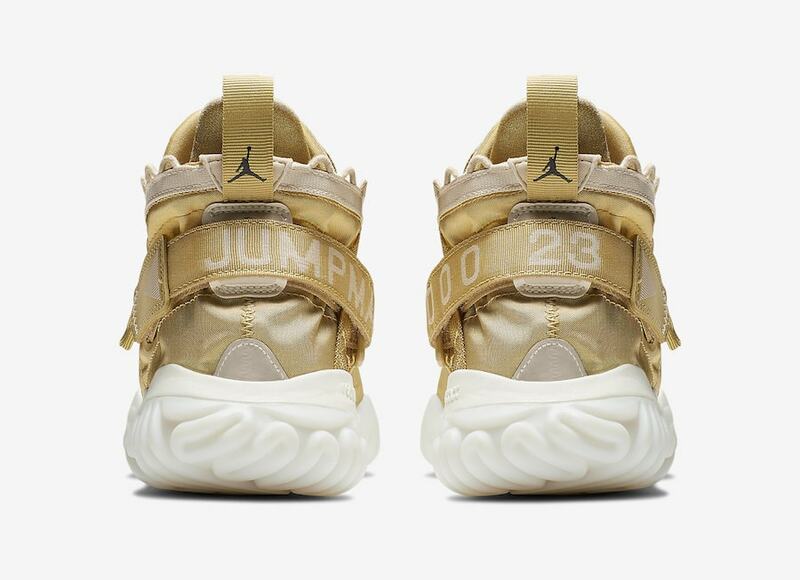 More detailed pictures of the metallic colorway can be found below and be sure to stay tuned to JustFreshKicks for updated information as well as more sneaker news.